North Coast Training: Helping You Craft Strong, Stable Church Ministries. Helping you craft strong, stable ministries that prepare you and your teams to break through barriers, overcome plateaus, and position for growth. Choose from one of our many role based, Next Level Workshops with small class sizes in a lecture-lab environment or explore our Customized Team Consulting with Pastor Larry and our practitioners. Either way, you’ll leave with practical, nuts-and-bolts information that you can take home and immediately translate into growth for your ministry.  Sticky Teams features training from seasoned ministry experts for pastors and church leaders of all kinds. Our “no green room” policy gives you unprecedented access to speakers and presenters, and our small conference size maximizes interaction and learning. Position your church for growth. Experienced church leaders are faced with the challenge of overcoming ministry barriers, large and small, to achieve sustainable results. The most experienced athletes work with a coach to reach a higher level. Church leaders should be no different. To reach the next level in your ministry you need an outside influence, someone to push you further. That’s what coaching does. Sign up here for the most updated news, resources, and training from Larry Osborne and our Coaching Team.